ChemDBsoft is the ideal solution for companies who sell chemicals and send their chemical product catalogs to customers. Either you sell 50 or 50,000 chemicals, all chemical product data can easily be entered into a database or several databases. ChemDBsoft Databases are copied to CDROMs. After a customer inserts a product catalog CDROM into a CD Drive, ChemDBsoft starts automatically and opens all product databases located on the CDROM. As an alternative, an installer can be placed on CDROMs, so customers will have a choice running software with databases right from the CDROM or installing it on their PC first. 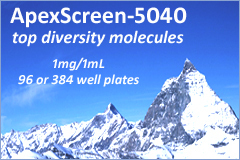 The ability to put all your chemical data on CDROMs in a very efficient and inexpensive way. Structures can be drawn manually or imported from SDF files produced by other software. A new database can be setup in a matter of minutes. Password protection for data export, import and edit. No additional software is needed! The only requirement is a PC running Windows 98/2000/NT/XP. 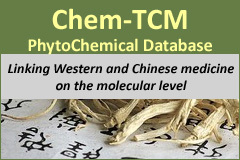 Attractive and comprehensive chemical catalog browsing . Fast chemical product search by structure, substructure or similarity. Search by any other data field, such as name, price, description, etc. Simlpe to use, can be run without installation. ChemDBsoft databases are searchable by structure. Many other CDROM catalogs software provides search by name feature only. Does not have additional software or special hardware requirements. Other CDROM catalogs often require expensive chemistry software, and/or Oracle/Access database software installed on a sophisticated hardware platform. Runs on any Windows PC and does not require a lot of memory and processor speed.